I read about Thomas MacEntee’s Genealogy Do-Over earlier this year and have procrastinated for a while about undertaking the process. I have over 25 years of documents both physical and digital and whilst, for the most part, I have kept them organised, in recent months it has got out of control. My dad recently died and we are in the process of sorting through his things to help mum get their home ready for sale and move into my home. In this process I have come across some absolute genealogy gold in documents I had no idea existed. I now have a box of documents to scan and organise – yet the process of sorting their home is far from over. I have been slack this year and when I’ve scanned documents I have just put them anywhere and now I have that mess to sort out. There are documents that are uploaded to my Family Tree Maker (FTM) Tree, there are documents that aren’t. However, the system I used to have on my computer was lost when I started using FTM as I didn’t realise until too late that it was duplicating documents and placing them its own folder. This created a space issue so I deleted my organisation system. Basically the whole thing is one big mess. So I deleted my system and stuck with FTM’s. Now I have a folder that has over 3000 documents and photos and it is incredibly difficult to find what I am looking for without opening up my FTM program. Although I have a good naming convention, sometimes I just can’t find the file. Not to mention the room where all my physical genealogy items sit has become the “put it in there room to sort later” and I can barely open the door! Throw into the mix a trip overseas to the UK in the coming month and you get an idea of how flustered I am feeling. My UK trip is the main reason I want to sort my digital genealogy files now – so that I can find what I require when meeting my relatives in the UK. At the moment I know I have a document but it isn’t where it should be and I really need to be on top of this! So the time for procrastination is over. I need to get my computer filing system back into gear so that I can find what I am looking for. The Genealogy Do-Over is the brainchild of Thomas MacEntee who decided that, whilst he had years of research under his belt, he felt that some of his older research was probably not as sound as it could be. He reasoned that over the years he has learned so much more than when he first started out. Thomas realised that he had a much better understanding of what is required to be considered excellent research. I can really relate to this. I will still come across documents that I have no idea where I sourced them from originally. I didn’t keep good records and I didn’t verify that the information was correct. So whilst there are parts of my tree I am confident about, there are other parts that I really need to be sure. Thomas’ solution to his dilemma was to start again. To redo his research from the beginning but this time using what he knows now to be sound research to ensure that the information he has is indeed correct. Hence Genealogy Do-Over was born. I have decided to undertake a do-over myself as I know that some of my original research is a bit dodgy. Many genealogists will admit that they saw something online – an Ancestry tree for example – and just happily used the information of that tree as correct. The more I have learned over the years I realise how foolhardy, as did Thomas, this habit was. As I delved into some of these trees I have discovered that they have connected totally incorrect people in a tree. In his book he outlines step-by-step what to focus on monthly. The first month is setting previous research aside and preparing to research. So for the month of August I will be sorting my digital files. Setting up a digital filing system that I am happy with and ensuring that all the documents I have are filed into the correct folders. So without further ado I will be commencing this process. I have Thomas’ book in hand. I have his Genealogy Do-Over Facebook group open and I am starting. It’s going to be one step at a time but I will be updating you along the way as to my progress. I have decided that I will sort my digital files first so that when I get to the UK I can find the documents I want. When I return I will start on the “put it in there” room and start really organising my clutter. 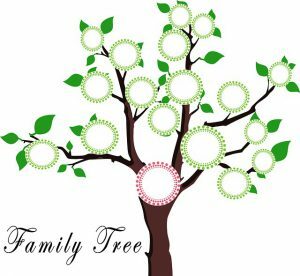 Have you done a genealogy do-over? Click on the image below to head over to Amazon to get your copy of the book today.